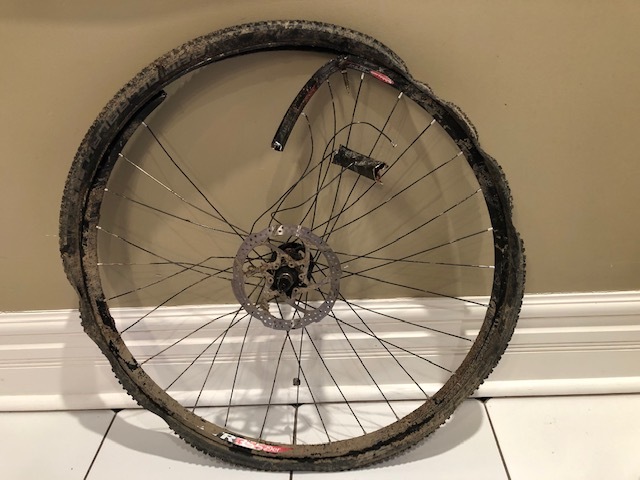 got a little rough with the bike out in Dundas today and had to carry it home, but would like to rebuild front wheel. Any ideas? NOt sure what you are asking for. Do you have pictures of the damage? Rim might be salvagable if its not too tacoed. If not order a new rim and maybe a few spokes and relace the hub. Are you asking if you can get another Stan’s rim or are you asking for a suitable replacement rim? I want to find the same rim so I can rebuild the wheel using the american classic hub and the same spokes. I will call stans monday to see if the rim is available anywhere. Thanks though for your input, see you on the trails.